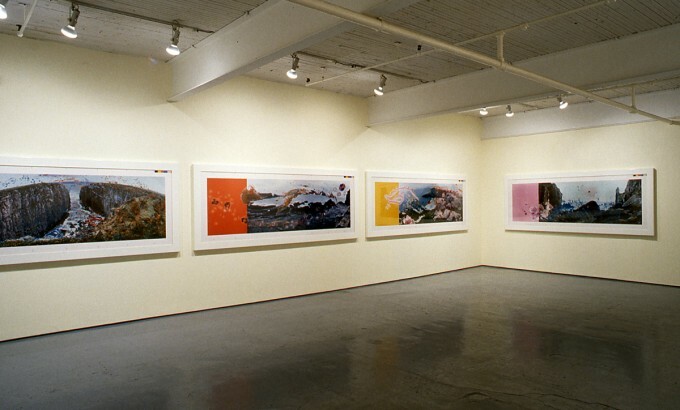 Mercer Union Centre for Contemporary Art is pleased to present an exhibition of a photo based series by British artist Helen Chadwick entitled Viral Landscapes. 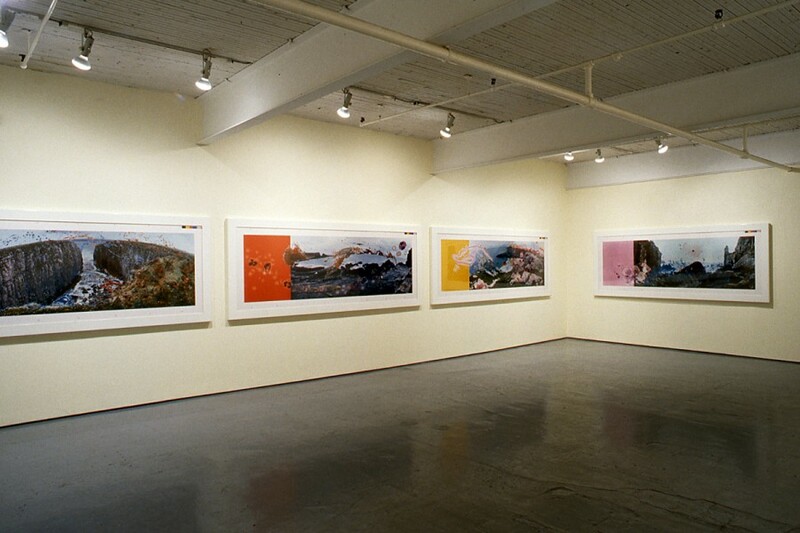 This is Chadwick’s first solo exhibition in Toronto. 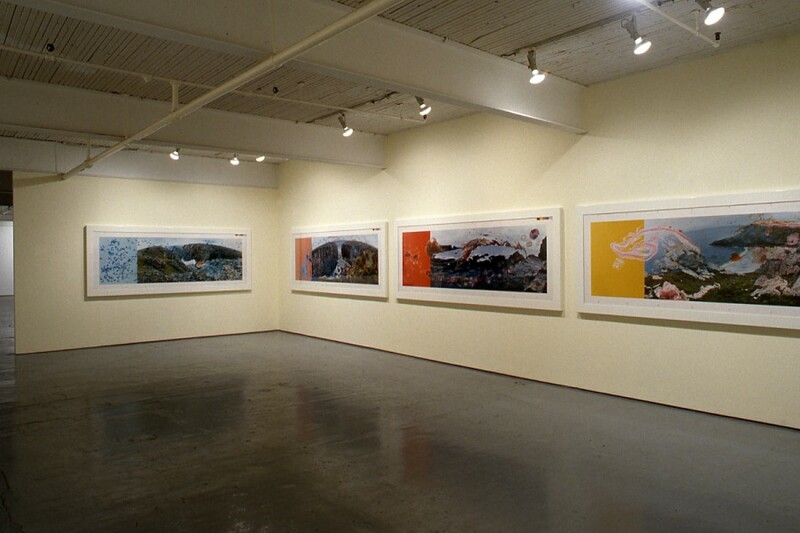 The series consists of five large scale photographic montages, each 4′ high and 10′ long, displayed as a panoramic frieze. 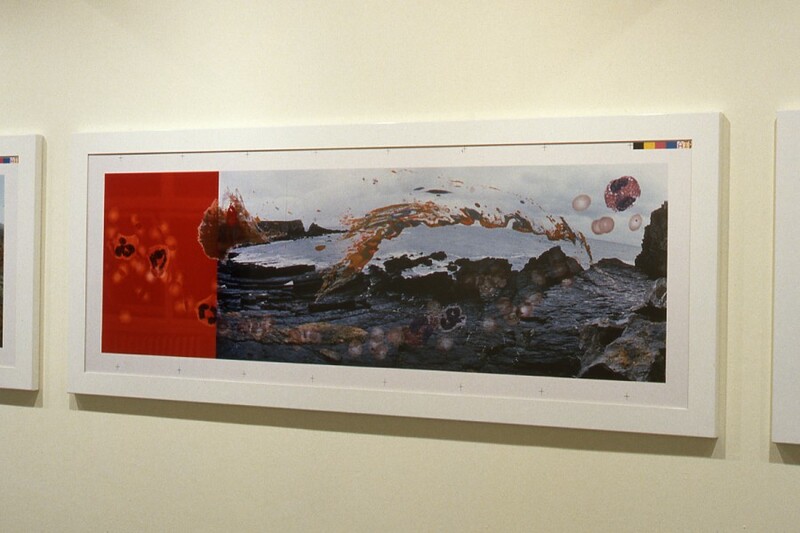 In each montage the artist’s photograph of a rocky and savage coastal landscape is partially overlaid and merged with enlarged images of cells from her own body. Chadwick’s work refers to a number of issues: ecological pollution, the unity of human experience with nature, identity and self-sufficiency, the uncertainty of boundaries and fear of violence. 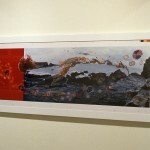 It offers a provocative alternative to an idealized and romantic view of nature. Born in England, Helen Chadwick currently resides in London. 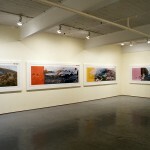 An established artist, her work has been exhibited in prominent London galleries such as the London I.C.A. and Interim Art, at the Kunstverein in Freiburg, as well as in Cologne and Amsterdam. 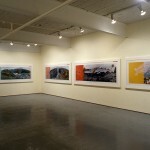 Viral Landscapes was shown recently at the Walter Phillips Gallery in Banff, Alberta before traveling to Mercer Union.